Ministry of Education) January 1995. 1. 01-1990 to 01-1995 (5 year residency program). Jimenez Diaz Foundation The Concha Hospital, University of Autonoma, Madrid, Spain. 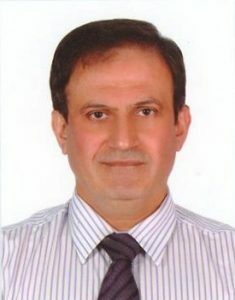 Jabal Amel Hospital TYR Lebanon –, as a General Surgeon Consultant. M.O.H. Hospital of TYR Lebanon –as a General Surgeon Consultant. 5. February 2000 – May 2000. June 1, 2000 – August26, 2000 . July 2002 – May 2004. 9. January2005 – June 2005. Head Department of TYRE Gov. Hosp. Lap. Center (Lebanon). Consultant General Laparoscopic and Obesity Surgeon at Emirates International Hospital , Al-Ain , UAE. Obesity and Metabolic Minimally Invasive Surgery. Single Port Surgery training courses. Organizing Training Courses and Workshops in Minimally Invasive Surgery.